David Hume published the first two volumes of his A Treatise of Human Nature in 1739, and the final third volume in 1740. Despite all the attention paid by philosophers to it now, at the time it appeared it was not a publishing success. As Hume famously remarked in his autobiography, the work “fell dead born from the press”. It seems to have received little critical notice, and in later years, Hume repudiated his early book entirely, not even deigning to include it in the successive editions of his collected works he prepared for the press. 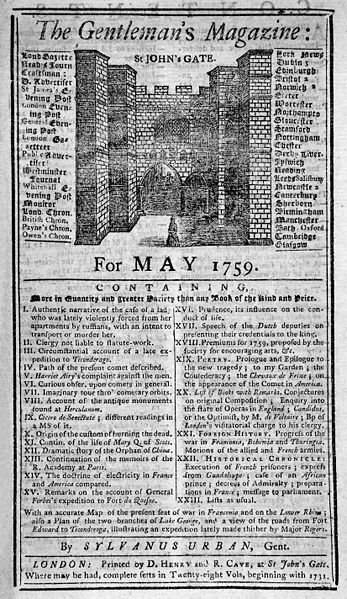 Some years ago I was involved in a bibliographical project, which led me to graze through old issues of The Gentleman’s Magazine, where I discovered an anonymous poem in the November 1741 of the magazine (Volume 11, pp. 602-603). 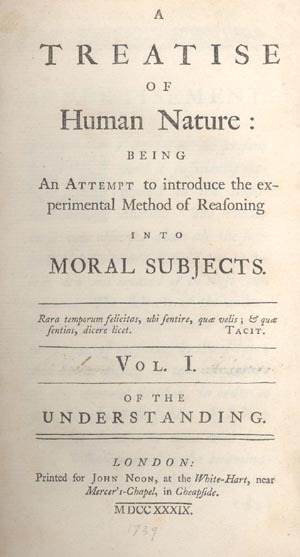 The work seems to be a satirical criticism of Hume’s Treatise. Although the poem does not make explicit mention of Hume or the Treatise, there can be little doubt that Hume is its intended target. If so, it represents an early and rare critical notice of Hume’s work. For one thing, the poem is entitled “The Experimental Moralist: A Fable”. 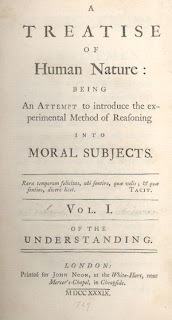 The subtitle of Hume’s book was “being an attempt to introduce the experimental method of reasoning into moral subjects”. 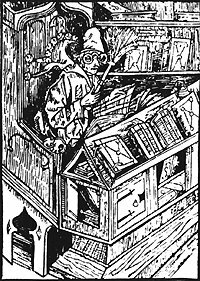 For another thing, the Fable satirizes the core ideas of the second and third volumes of the Treatise, particularly the infamous claim that, contrary to the received view, the only role for reasoning in moral conduct is to scout ahead and see how the passions and desires may best be served. 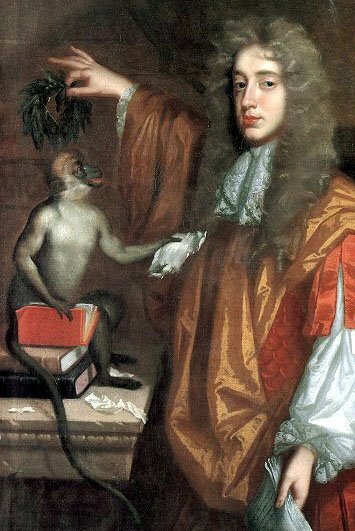 In criticizing Hume’s moral philosophy, the author seems in general to adopt a neo-Stoic view of morality, reflecting the influences of Lord Shaftesbury and Joseph Butler. Of course, this may be giving him too much credit, for he seems to be an untalented philosopher ― and an even worse poet! For those readers who might have an interest in Hume or eighteenth century British moral philosophy, I reproduce below the poem in its entirety. I have not edited it in any way, which means that I have done nothing to bring order to the author’s archaic and seemingly random employment of quotation marks. I have added only a few explanatory notes where I thought these might be appropriate. A F A B L E.
Who can by vice be still deceiv’d? And he who points the path, a friend. They sought around the sun-burnt plain. They both leap headlong from the brink. But this the steep ascent deny’d. ‘We’ll soon form this mischance be free. ‘You’d horns, my friend, ― and I had brains. ‘Which I, more modest, hide within. ‘You’ll profit much ― and so good night. The goat remain’d to death a prey. The shock ― and thus at length prophan’d. ‘Boasts none from virtue can divide? ‘Which fate to vice forever binds? ‘His goodness slumbers while I die. And instant on the brink appear’d. ‘I’ll set thy dying feet again. ‘The fox with envy did’st thou see? ‘And taste a fox’s happiness. His narrow’d love to self confin’d. His mercy is by foes approv’d. With griefs looks back on periods past. His bloodless food, a blest repast! “Ye gracious pow’rs who rule above! “Who virtue, and its vot’ries love! “And own I ask’d the pains you sent. “What others feel of happiness or woe! “The voice of conscience when it calls him knave? 2. An obvious reference to Hume’s views on the respective roles of reason and passion in practical reasoning. 5. “Ear” is the most plausible reading. The text is illegible. 6. “Externals” here is a technical Stoic usage, referring to those things that are not in our power to control. 7. This view of the role of conscience is reminiscent of Bishop Butler’s views in Fifteen Sermons Preached at the Rolls Chapel (1726). 8. This ending is somewhat reminiscent of the closing sentence of Lord Shaftesbury’s Inquiry concerning Virtue, or Merit (1st edition, 1699): “[Virtue] is that by which alone Man can be happy, and without which he must be miserable. And, thus, VIRTUE is the Good, and VICE the ill of every-one.” Reprinted in Characteristicks of Men, Manners, Opinions, Times (1711), Vol. II, p. 176.